So i think winning cases in courts and actually implementing the judgement on ground , require special effort from all complainants. and GFWA. Sir, There are similar loot from other builder of Greater Faridabad as well. M/s Shivsai Infrastructure Pvt Ltd is demanding additional 6-7 Lac, from each owner of Ozone Park Sector 86, on the name of increase in super area, EEDC and other misc charges. How can GFWA help. BPTP i heard is asking money in name of cost escalation, first you delay possession also do not pay penalty, do miss-use of government money in name of EEDC,EDC , and at time of possession you are asking money in name of COST ESCALATION. asiapole wrote: Sir, There are similar loot from other builder of Greater Faridabad as well. M/s Shivsai Infrastructure Pvt Ltd is demanding additional 6-7 Lac, from each owner of Ozone Park Sector 86, on the name of increase in super area, EEDC and other misc charges. 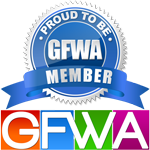 How can GFWA help. I am also owing a flat no.C1014 of piyush height and they have sent me a demand letter for the completion of floor where as when I visited the site to verify. No work is started yet. Kindly confirm what to do in such a situation. Please demand a written explanation from Piyush Group by sending an e-mail/registered post. Also, you can hold demand unless you get a reply for the same. In view of the delay and cost increases I have opted out of club membership. I have handed over letter to Piyush along with last demand for installment on completion of flooring. Piyush told me that club membership is now compulsory. I feel if the project is NOT being delivered OR delivery is being indefenitely potponed it makes no sense to continue with optionals. In a detailed order spanning multiple pages, Piyush Builder Petition for acceptance of his reply has been Dismissed by NCDRC. This is a lesson for builder who thought that by hiring Senior Advocate and team, they can get away from cheating, criminal conspiracy and fraud being done by them with buyers. Final Arguments have been fixed for 18-DEC-13. Piyush Heights Apartment Allottee Society has been successful in fighting for truth and justice. Great unity and consistent work shown by the Piyush Owners, the battle is long, but justice will be delivered. One more very good news. Additional case at State Consumer Commission is also admitted yesterday ! Please ignore my ignorance here. If i understand the case history correctly, the final hearing is now on 18th Dec'13 and no later and we should the final judgement by then. Based on the case history i feel and i might be completely wrong here that even the jury feels the case is a small matter and is been delayed by the lawyer with no reason. If its goes in our favour, crossing my fingers, we dont have to pay any extra amount which the builder have asked? Would this hold correct for the entire project or would we have to file a case again once we get possession of other towers in the near future. Please some light on the same. Your views are always appreciated. Dear @dp2013, be united in fighting this loot and cheating. Justice will come to buyers. Join Piyush Heights Apartment Allottee Society. Send an e-mail to piyushheights.sec89@yahoo.in and piyush-hr-owner@yahoogroups.com for joining this fight. Well As per my understanding order will be applicable to entire project not just to a few towers. Please correct me if this is not the case. Do we have a verdict from the National Consumer ? Please share the same with the team. The online status says its Adjourn. I think what we got here is a date. I seriously dont understand the system here. Even after the jury identifying that the opposite party is stretching the case for no reason, the verdict is still not out.